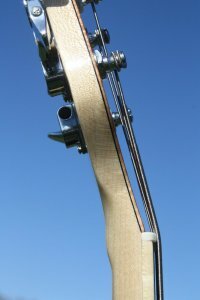 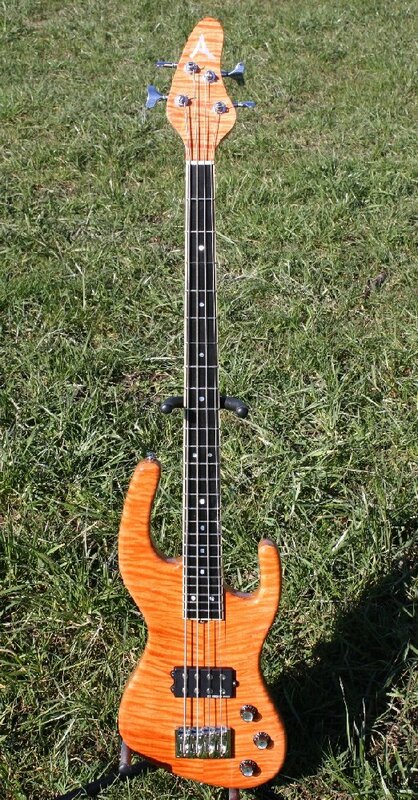 Pim, my friend Franks son, has designed a bassguitar for himself. 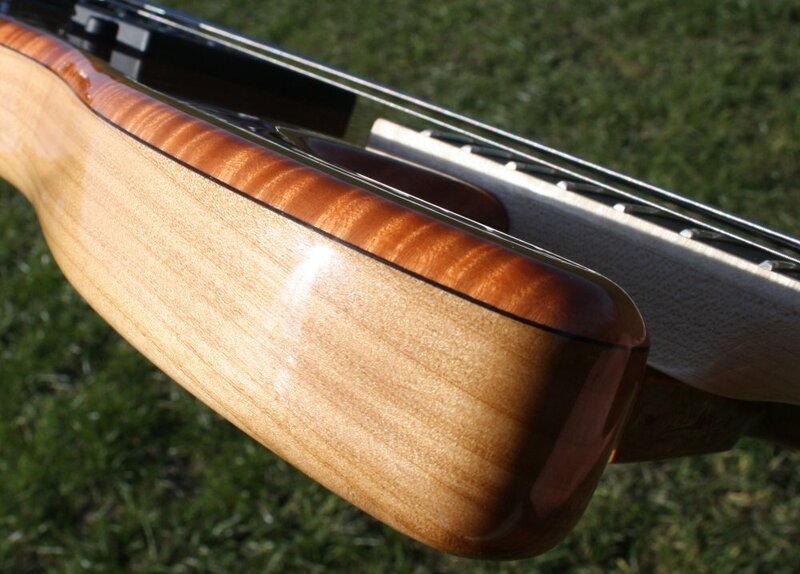 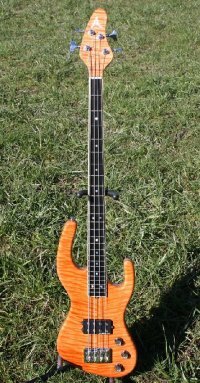 It has a body and headstock that are completely different from anything on the markt. 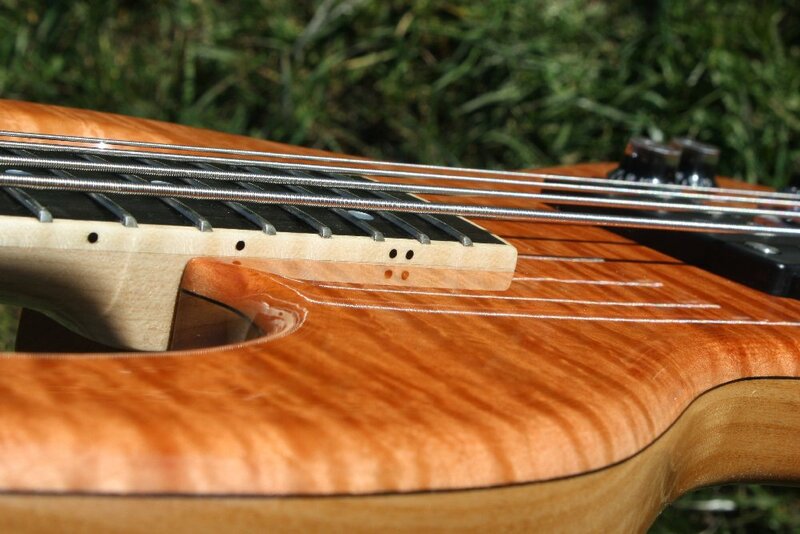 It makes the impression of a small guitar, but it has great sustain and resonances.